We would like to invite you to join us on March 2, from 11 am -1 pm at Bowlmor Lanes (Times Square) located at 222 W. 44th St, New York, NY for pizza and bowling with our Owner, Shawn Carraher, Director, Matt Basinet, Assistant Camp Director, Merritt Duffy, Director of Admissions, Rikki Galusha, Head Counselor, Chris Daugherty, and some of our summer staff. This is a great time to meet other campers and parents, staff, administration, alumni, and see what is new at Adirondack Camp. Please RSVP By February 20th if you plan to attend. If you have any questions, please contact . We hope to see you all there! Click here to check out our Facebook Event for more info. 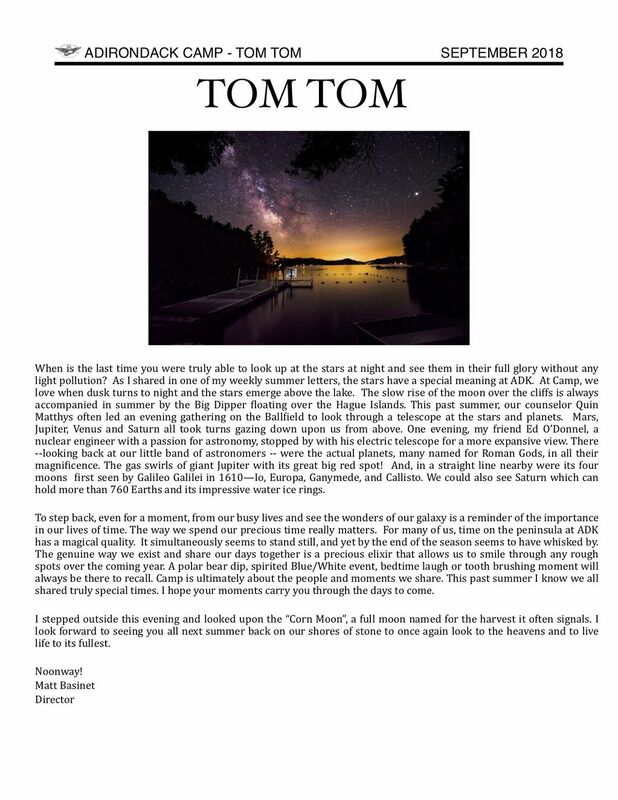 Please click here to download the September Tom Tom. Enjoy! 2019 Early Enrollment Ends October 10th. We hope you and your family have been enjoying some quality time together and are back into the school routine taking full advantage of the fall. By now your kids have likely shared some of their many happy memories of time on the peninsula. On our end, we have been busy taking stock of the summer and are already discussing summer 2019. We wanted to let you know that there are only a few weeks left for Early Enrollment for Summer 2019! It may seem early to think about next summer, but enrolling early guarantees your camper/s a space for next summer and ensures that you receive our Early Enrollment prices. Our CIT Program will likely have a waiting list and based on parent requests we anticipate our Ranger Program and other age groups will quickly fill. You may submit your application by logging into your CampInTouch account, clicking on the camper application and selecting the 2019 season from the drop-down menu. A $1200 deposit is due at the time of registration. If you need to reactivate your account, please let us know. Please also explore the option through CampMinder to ensure your tuition. Spaces will likely be limited again this year, so please do not wait too long to enroll. If you need help enrolling or have any questions, please contact us at 518-547-8261. Have a wonderful school year, and we hope to see you and your family again next summer! This week Elk Cabin paddled across the lake to Waltonian Island for an overnight trip! We had a ton of fun swimming, eating pizza, and bonding by the fire. The campers also participated in Blue/White staff hunt and volleyball. The White Team won staff hunt and the Blue Team won volleyball! We welcomed Max to the cabin on Sunday and he has been enjoying basketball and trying wakeboarding! Jack crushed it in the Blue/White sailing and windsurfing regattas. Liam did really well in the Blue/White windsurfing regatta as well! Hugo is back in waterskiing and he has been a force in the camp-wide tennis tournament. Sam has been hiking a lot and he went on Camp’s signature “Five Alive” trip (where the campers hike the 5 peaks surrounding Lake George — all in one day!). Paul really liked paddling in the stern of our ten-person War Canoes on the way to Waltonian for our overnight. Tal was in advanced kayaking all week and participated in Blue/White kayaking last Thursday. Max was the team runner for Blue/White swim hunt and he is preparing to be the runner for Blue/White medley in the final week of Camp. Greg went on the water ski trip and slalomed on his second attempt ever! Arion has really shown his leadership skills as captain of the Blue Team and he has helped his team equalize the summer score with the White Team. Grant has been on lots of climbing trips and has been a helping hand in the cabin. Trip was a big part of the team that beat Forest Lake Camp in tennis! He was also part of the winning duo to take out the White Team in Blue/White tennis! We are so proud of the Elk campers for growing into the leaders of Camp. The sky will be the limit for these boys as Rangers next year! Noonway for the last time from the peninsula! Last weekend we welcomed Larry and Henry into the cabin. Larry and George have hit it off and can always be found together during rest hour and evening activities. Larry also got up on water skis for the first time! Henry has transitioned into Camp life seamlessly and has made a lot of friends quickly. We are so happy to have Larry and Henry as part of our Buffalo family! During the third week of Second Session, Buffalo Cabin went tubing on Thursday night. This was Chris’ first time behind a boat and he had an absolute blast as did the rest of the boys. Julian and Bungie have been inseparable both in and out of the cabin sharing many of the same activities like diving and rescue and frisbee. Tanner and Trey helped out the counselors in the younger boys’ cabins by telling them stories and playing them music during bedtime routines. They are eager to continue helping on the Junior/Intermediate Line! Corbi starred in the weekly Eagle-i video as the main villain from Jumanji! The video can be found on the camp youtube channel. Ben really liked sailing this past week while Zach really liked stand up paddleboarding with Counselor Ian. Mateo continues to be a leader in the cabin and on the whole Boys’ Line. As the summer winds to an end, we look forward to finishing strong with our great group of boys. Noonway! We had an awesome time this past week! Many of the boys stood out in Blue/White competitions and/or representing Adirondack Camp against Forest Lake Camp. We also had a lot of fun simply spending time together in the cabin and at meals! Max’s guitar skills progressed meaningfully while working with our Guest Artists and he capped off the week by performing in ADKchella! He also played music for the younger boys during their bedtime routines. Daniel T. also joined Max in helping the Junior/ Intermediate counselors put the younger campers to bed a number of nights this week. Daniel T. also fenced against Forest Lake Camp! Nate D. has been playing a lot of basketball and really enjoyed Blue/White staff hunt and volleyball. Daniel V. has been very involved in arts activities while Sam has been heavily involved in canoeing. Ryan is a standout in windsurfing and Leo is a standout in sailing. They both participated in their respective Blue/White regattas last week. Tom completed his silence, service, and memory tests during the week and was inducted as an Adirondack Brave! How Brave! Nate B. has loved chilling in the cabin and getting to know everyone. Asher joined the cabin last Sunday and really enjoyed wakeboarding during the week. Lastly, we’d like to report that Tyler joined our cabin as a Counselor In Training. We are super excited for an A1 Adirondack end to the summer in Bear Cabin! It was an exhilarating Week Seven in Moose Cabin! 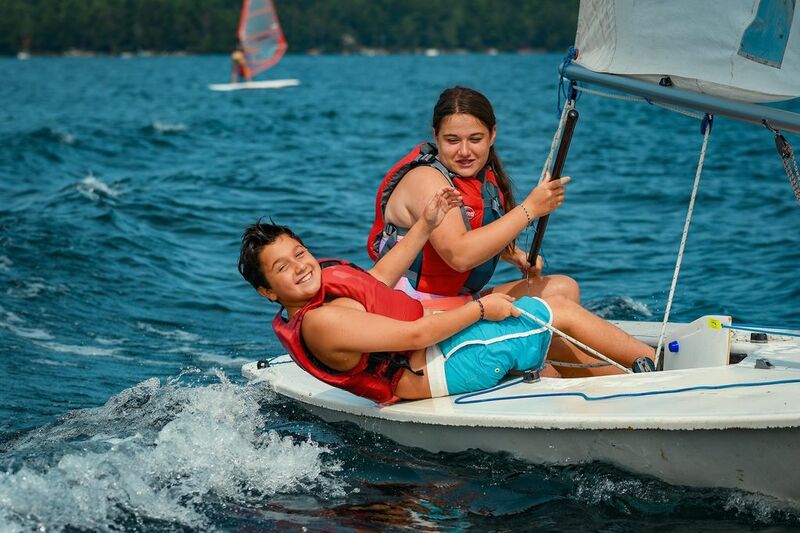 We went sailing for Cabin Night, we captured counselors during Blue/White staff hunt, we enjoyed music during ADKchella, and we played games of skill and daring during Awiskini! Individually, Sean played really well in Blue/White Volleyball. He got a number serves in and helped lead the Blue Team to victory! 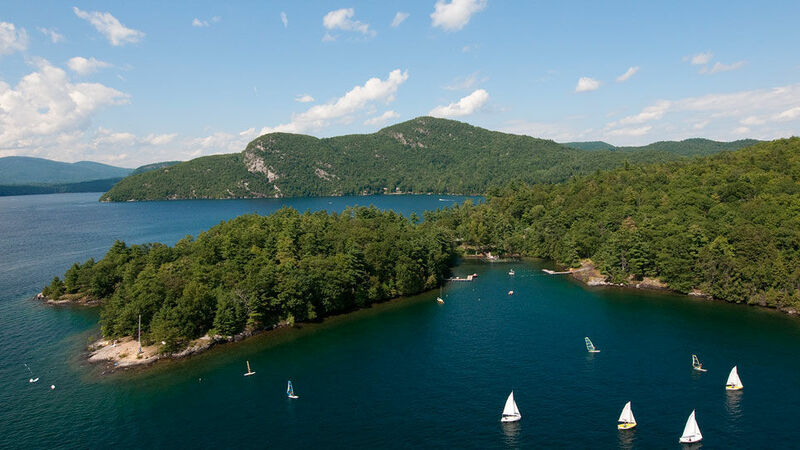 Harry and Henry completed their Lake George Five and then did them again on Friday during the “Five Alive” trip! Speaking of trips, Aidan went on a Rock Climbing Trip and Keegan went on the Windsurfing Trip after competing in the Blue/White Windsurfing Regatta! Wesley skippered for the White team in the Blue/White sailing regatta and did really well against the Ranger sailors! James did incredibly well in the camp-wide Tennis tournament throughout the week while Collin really enjoyed Stand Up Paddleboarding. Jonah has come out of his shell to befriend everyone in the cabin and Eli has continued to be a cabin leader by serving as the voice of reason for all. We are also happy to report that Fran joined us as a Counselor In Training and Joel joined us as a visiting Counselor this past week. How Moose Cabin! We are pumped for a strong and fun finish to the summer! We had so much fun during our third week together in Heron Cabin. The boys have become a tight knit crew and they love spending time together! We also welcomed a new Counselor In Training into the cabin (Benj) and the campers have enjoyed spending time with him as well! This past week Joseph and Zack went on the Fire Tower Frenzy trip – both were upset that the trip had to end early but they had a ton of fun while hiking on the trip! Zach has also been enjoying rock climbing and he even went on a rock climbing trip recently. Julian has really found his feet throughout the session and continues to surprise us on a daily basis with his maturity. Jack ambitiously decided to partake in the Big Triangle swim (a 1.8-mile swim!) after enjoying swimming the Medium Triangle this past week. Alessandro learned how to roll a kayak this past week and is now super excited about paddling for years to come! Mack raved about sailing throughout the week and had a schedule full of water sports activities. Jeremy’s infectious smile has continued to brighten the mood within the cabin and throughout the entire Senior Boys’ Line! We are proud of our Heron campers because they have grown so much this summer, and we are excited to end the session on a high note! Noonway from Heron Cabin! So it has finally come, for some of our boys this is our last full week at Camp and it has been one they will remember forever! Khassime, Nick M., Nick T. and Pablo had a blast taking on our rival camp at Forrest Lake basketball. Kade also faced off against Forest Lake Camp in fencing and had a great time! He also completed our signature “Five Alive” Trip! Rick has had a fun week with all of his activities being based in the water. Matthew took part in one of our SUP trips going over to different places on the lake. Kole, Charlie, and Jason have continued to grow in kayaking after a great time on the Sacandaga River. Will and Avery have been taking every opportunity to go on our last week of trips. Alex had fun shadowing one of our waterski staff and seeing what life as a counselor is like. Riley spent the last week fighting to bring the Blue Team to victory with a packed week of Blue/White events! Ronald is enjoying his second year in the best cabin in Camp and getting to know the new campers! With this being our last week and some of our last summers as campers, we are rocking it and making sure it’s one we’ll never forget! HOW RANGERS!! Week 6 was another fantastic week in Wolf Den. The girls have really started to realize how special it is to be a Ranger, and how close that you get to the other girls your Wolf Den year. It is a really special experience that they are so excited that they get to share with one another. The girls are even happier because Gillian extended and gets to spend an extra week with us! But we will miss Sydney so much! We love being able to see the girls grow into such amazing leaders. The younger girls really look up to them, and they are taking on the responsibility wonderfully. We can’t wait to see how their bond and leadership continues to grow over the next two weeks. We are so lucky to get to have the remarkable group of girls that we have in Northwind. Having such a large cabin and the large group makes for so many awesome personalities coming together as one. Our diverse group of girls makes Northwind truly special. The girls really loved their movie night and snacks in the staff room this week for Cabin Night. We missed Gillian while she was on her trip, but we’re so glad to have her back and in the swing of things. We had some good girl talk during the week as well, and we feel like every time we get together it only brings us closer together. We love getting to spend time together as a cabin. They said Goodbye to Allison for the summer, but they know they’ll see her again next year! Panther Cabin is having a fantastic time so far this session. Maria’s Rose for the week was how much she loves Camp, her cabin, her activities, and everything here. The girls are so full of love, and it is so wonderful to see them sharing with one another and everyone around them. Panther ditched the crazy clothes for the dance and went in their cute outfits for a more casual look. They loved the new fairy lights outside the dining hall and had a blast dancing the night away with their best friends. The girls were sad to see Isabelle and Riley go this week, but are also excited to get Juju moving into the cabin this weekend and excited that Clare extended!